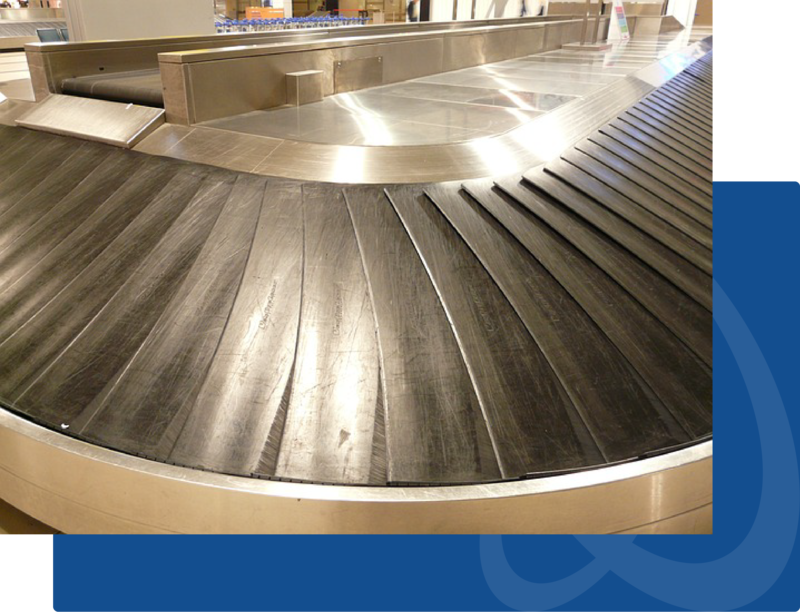 Rubber or polyurethane conveyor belts are used as a solution to transport items within many industries around the world and are a popular choice of conveying solution due to their versatility and low investment costs. This kind of conveyor system is ideal for handling goods with irregular bottom surfaces, small items, or bagged product that would potentially sag between the rollers of a roller conveyor sortation system. 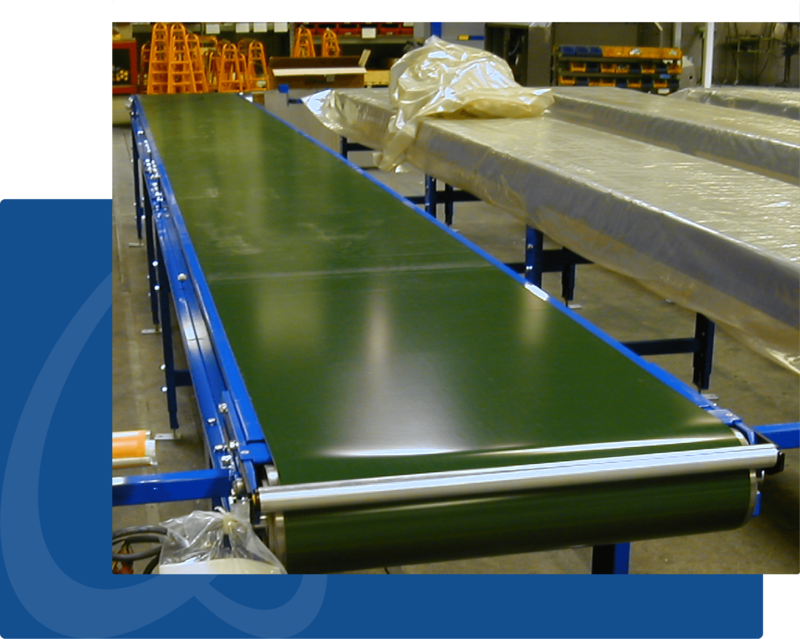 Belt conveyors tend to consist of a metal frame fitted with rollers at either end of a flat metal conveyor bed. The chosen belt is then looped around each of the rollers, one powered and one slave roller. The belting slides across a fabricated frame plate, allowing the product to be transported. In heavier duty applications, the plate which the belting is pulled over is replaced for conveyor rollers. These rollers allow the weight of the product to be absorbed and subsequently reduce the amount of friction generated from the weight of the load on the belt. 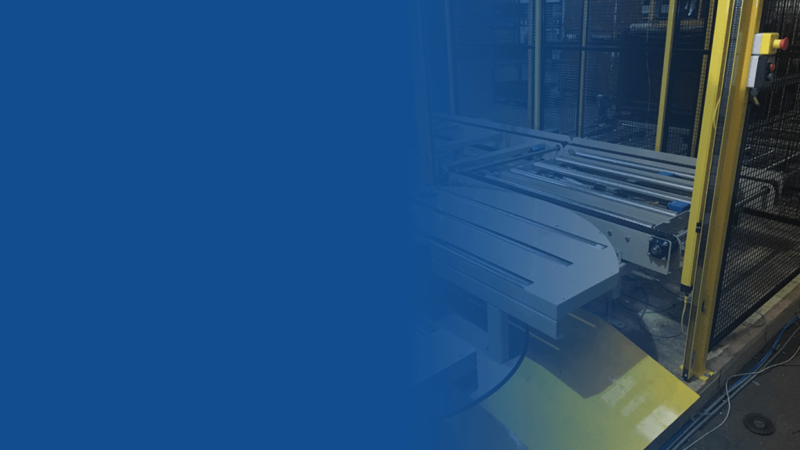 Belt conveyors system are available with curved sections which incorporate tapered rollers and curved belting to transport goods around a corner. 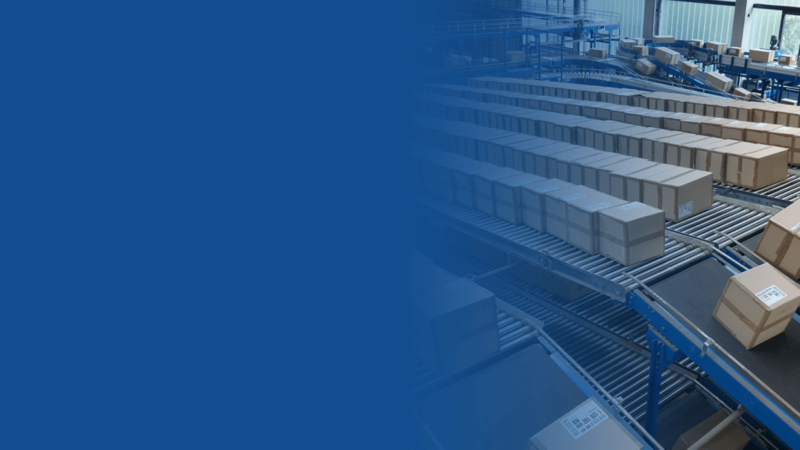 Applications where systems like these are utilised include sorting offices, distribution centres, and baggage handling areas. Modified belt conveyors can be manufactured to transport product up steep inclines, onto mezzanines for example, even vertical-lift runs. In certain applications they can also be used for static accumulation or cartons.